Is it just us, or has the bar scene in Singapore exploded in recent years? 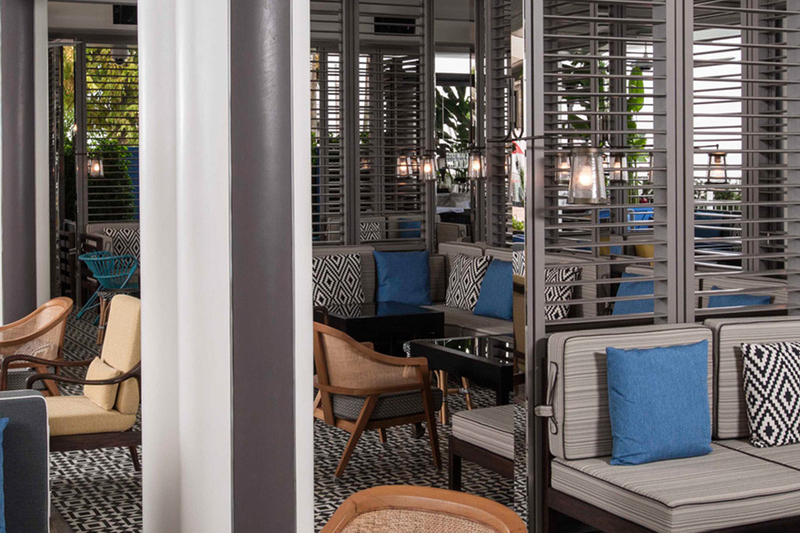 Gone are the days of sugary-sweet Singapore Slings and in its place has appeared an ever-growing tribe of award-winning mixologists, slick interiors, and a buzzy drinking scene that we can’t get enough of. 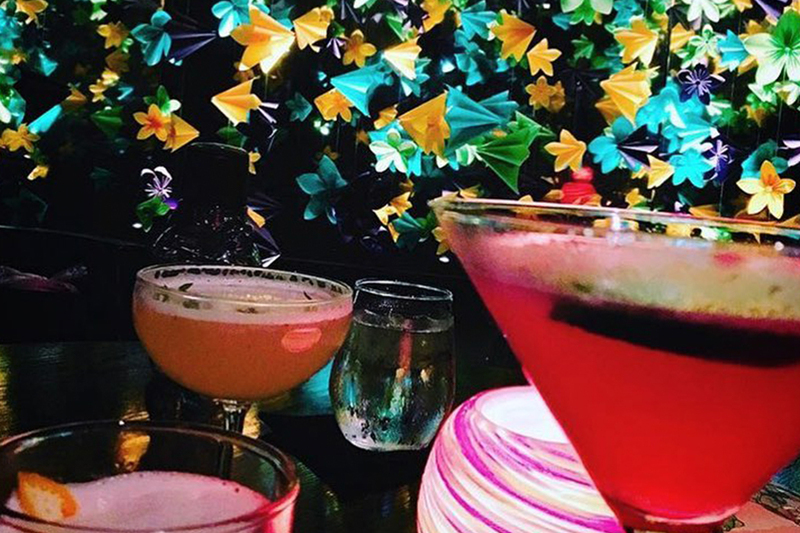 From grand lobby bars and rooftop havens, to underground speakeasies and unique hidden gems, these craft cocktail bars are putting Singapore on the map as a world-class drinking destination. Cheers to that. Despite having no signage and little more than word of mouth advertising, 28 HongKong Street continues to feature in Asia’s 50 Best Bar list year after year. 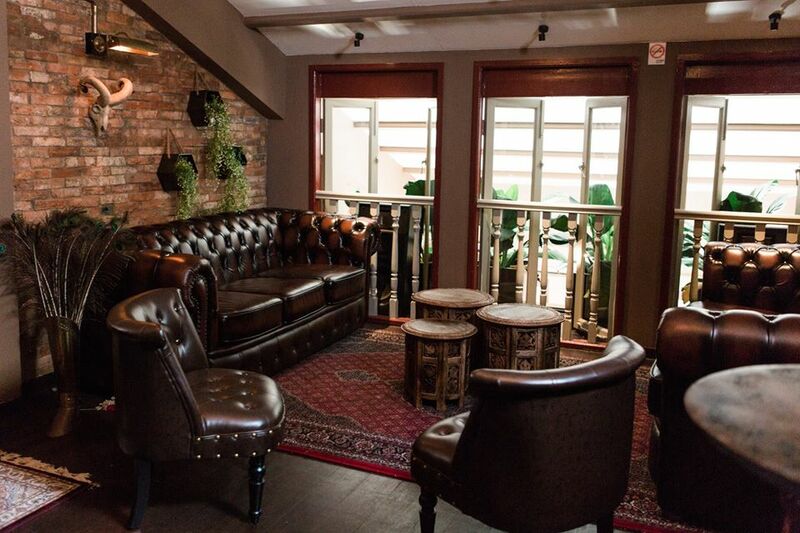 Have a seat at the marble-topped bar or in one of the cosy leather booths and you’ll soon see why. The atmosphere is lively and unpretentious and the cocktail list features innovative tipples made with premium spirits and intriguing flavour combos. Don’t forget to order a side of the epic mac ‘n’ cheese balls; they are the perfect stomach liner. 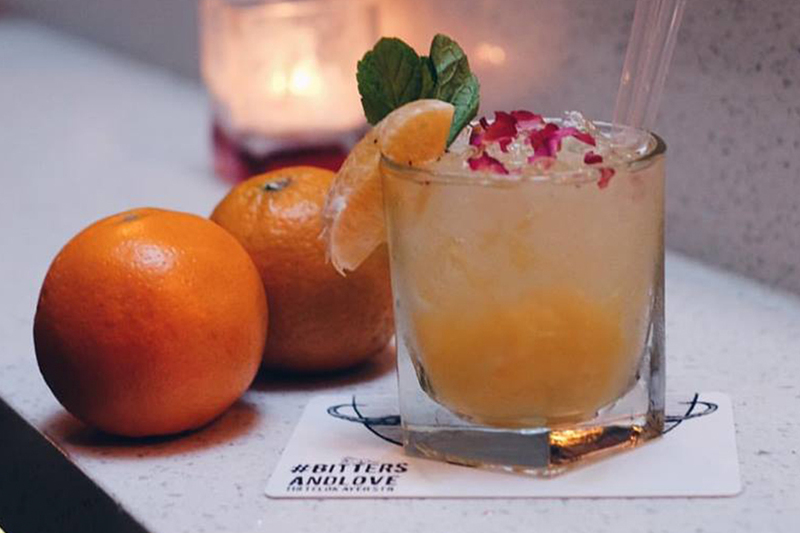 The menu at Anti:dote recently underwent a revamp, and we’re loving the latest artisan beverages and bites by head bartender Bannie Kang and head chef Tryson Quek. Start with a Taproot Sangaree made with mezcal, mulled beetroot wine, spiced orange, and Cynar, then pair it with the Hokkaido scallop tartare marinated in whisky and ponzu and topped with uni and caviar: perfection. If you’re with a group, the punch bowls are a great communal cocktail. 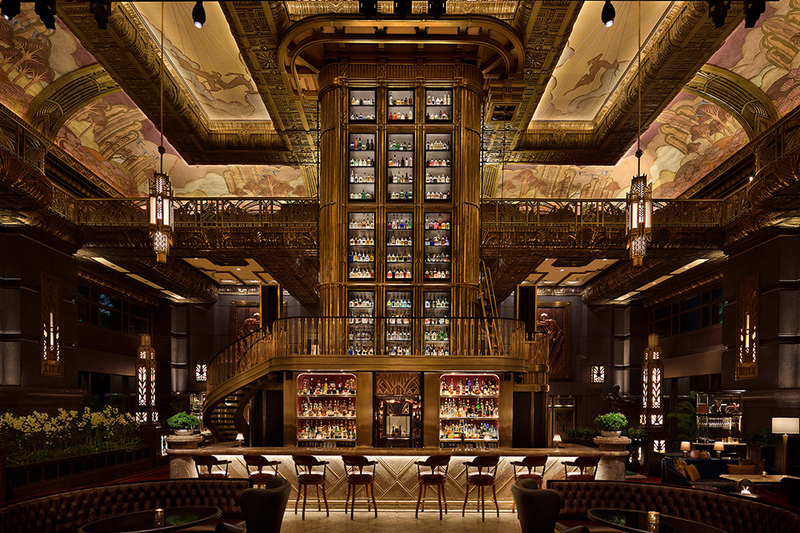 It doesn’t get much grander than Atlas, an impressive Art Deco space that celebrates the spirit of the 1920s. Leather banquettes and velvet armchairs beckon, and in the bar tower you’ll find one of the largest collections of gin in the world. The champagne list ain’t shabby either with over 250 labels on offer. 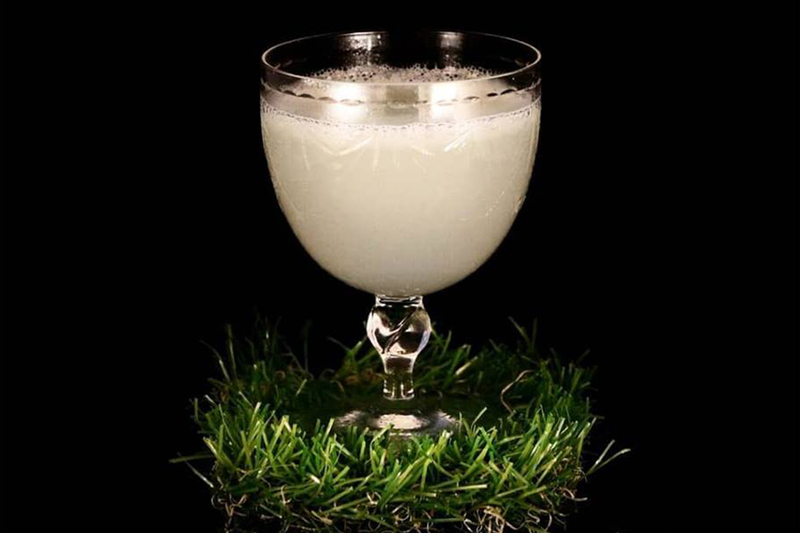 A G&T is definitely in order, but if that’s not your poison of choice, peruse the cocktail list for head bartender Roman Foltán’s other boozy artisan creations. 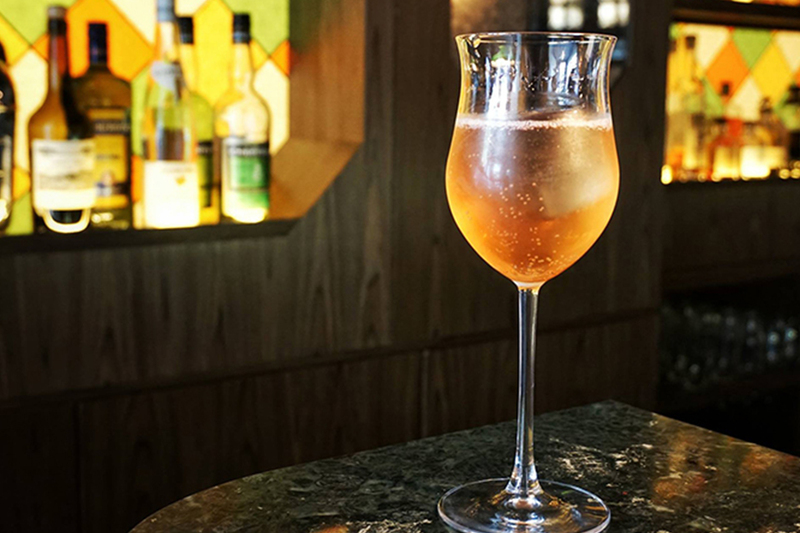 Located in The Working Capitol building (which also happens to be UJ headquarters), Bar Piccolo is Singapore’s first Aperol Spritz bar and a lovely open and airy space to have a few after-work drinks. 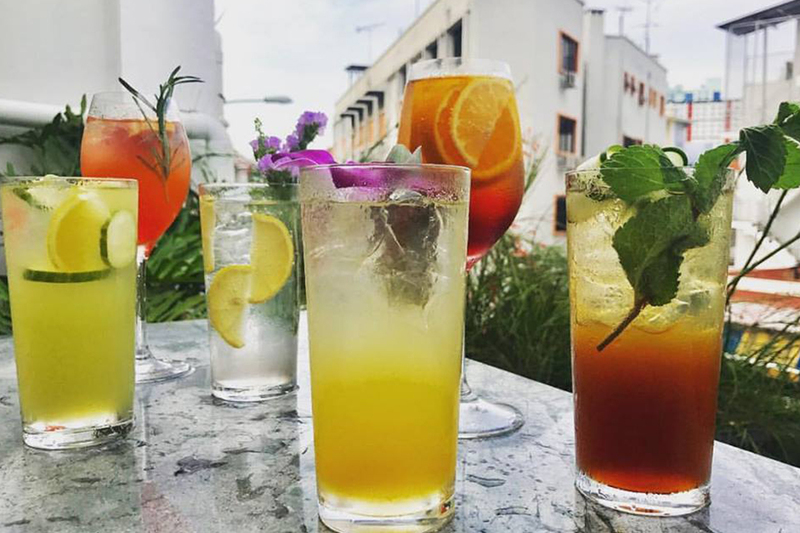 Grab a seat on the al fresco terrace and soak up views of the historic shophouses of Keong Saik as you sip on a refreshing spritz. They also offer tasty bar bites from sister restaurant Luxe downstairs. Imagine this: you sidle up to a cosy bar on the second floor of a shophouse and instead of being thrown a menu, the bartender chats you up to find out all about your favourite flavours and drinks of choice. He then gets right down to making you a completely customised one-of-a-kind cocktail. This is and always has been the scene at Bar Stories, which is why this intimate watering hole is a favourite among bespoke cocktail lovers. Us included. By day it’s a quirky cafe called Free the Robot, but by night the space transforms into Bitters & Love, a crackin’ bar serving up killer cocktails. Head bartender Naz Arjuna is a multiple cocktail competition winner and has earned a spot on the Top 25 Bartenders in Singapore list, so you can bet that whatever he concocts will taste pretty damn good. Plus, you’ve got to love a bar that encourages its patrons to really let loose (popping in for one and stumbling out at 3am has happened more often than we’d care to mention). Yes, CUT is a steakhouse, but it also has a swanky lounge with a long marble-topped bar where you’ll often find us sipping cocktails and nibbling on bar bites. The cocktails here are handcrafted with fresh fruits, herbs, and veggies and are seriously good. Try the Rough Love with champagne, Tanqueray No.10 gin, and yatagarasu shiso ume (a plum and shiso leaf paste), it’s up there on our favourite cocktails in Singapore list. Swing by on a Tuesday and you’ll score a 50% discount on Rough Love between 6pm and 9pm. Step inside the softly lit shophouse space that houses D.Bespoke and you could be forgiven for thinking you were in a sophisticated sipping spot in Tokyo’s Ginza district. Everything is immaculate here, from the long teak bar to the leather armchairs and the impeccably dressed bartender-owner Daiki Kanetaka. 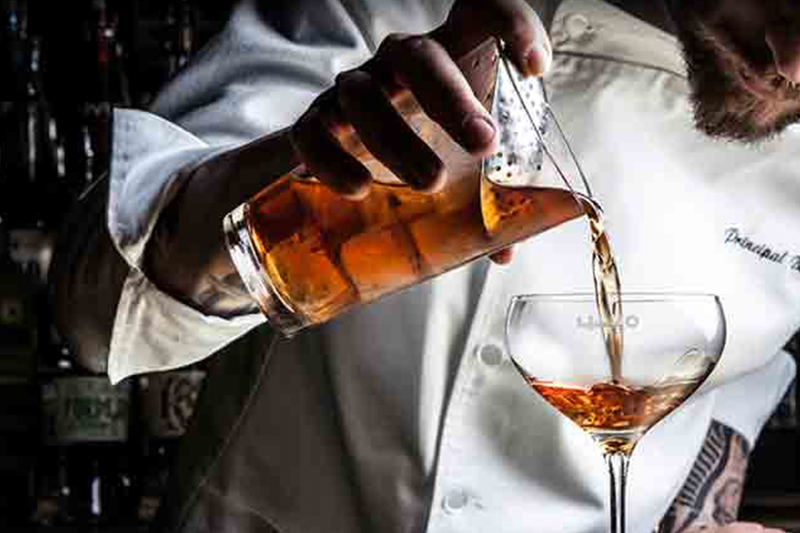 The drinks certainly aren’t cheap—and there’s a $60 minimum spend per person—but you can be sure each tipple is made with the finest top-end spirits and laser sharp attention to detail. Employees Only has been going strong in New York City for over 10 years, and its Singapore outlet is the famed cocktail bar’s first outside of the Big Apple. Situated smack dab in the middle of buzzy Amoy Street, this cool speakeasy style bar offers up sophisticated cocktails shaken and stirred by world-class bartenders, plus a solid menu of tempting eats. Reservations are an absolute must, which is testament to just how good the drinks, eats, and vibe really are. Since opening in 2015, Gibson has been raking in the accolades including spots on Asia’s 50 Best Bars list for two years running. However, it hasn’t let the praise go to its heads, as the atmosphere is warm and inviting and the bartenders aren’t afraid to have fun with their mixes. 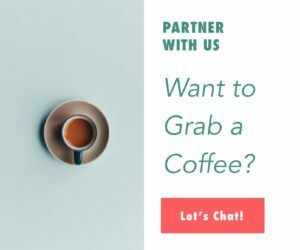 Fancy something out of the box? Try the warm Whisky Blazer with Irish whiskey, fermented banana syrup, clarified Granny Smith apple juice, and cardamom bitters. Yum. Tucked away in the basement of Forum the Shopping Mall, this dimly lit den isn’t easy to find, but well worth the search. Tip: First seek out Uma Uma Ramen, then locate the electronic door that opens to stairs leading down to the bar. 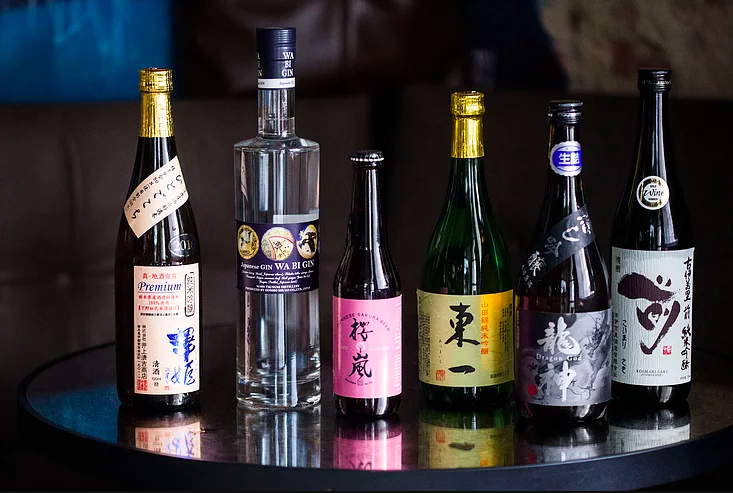 Once settled on a bar stool, let the knowledgeable bartenders whip you up a custom Japanese-inspired creation with premium spirits, sake, and herbal infusions. Sashimi, gyoza, and pork belly are also up for grabs if you get the munchies. Junior may be tiny with just 10 seats tucked away in a cosy space behind Crackerjack, but the concept is huge for the Singapore drinking scene. Every six months this hip little nook switches up everything from the drinks to the decor and music. 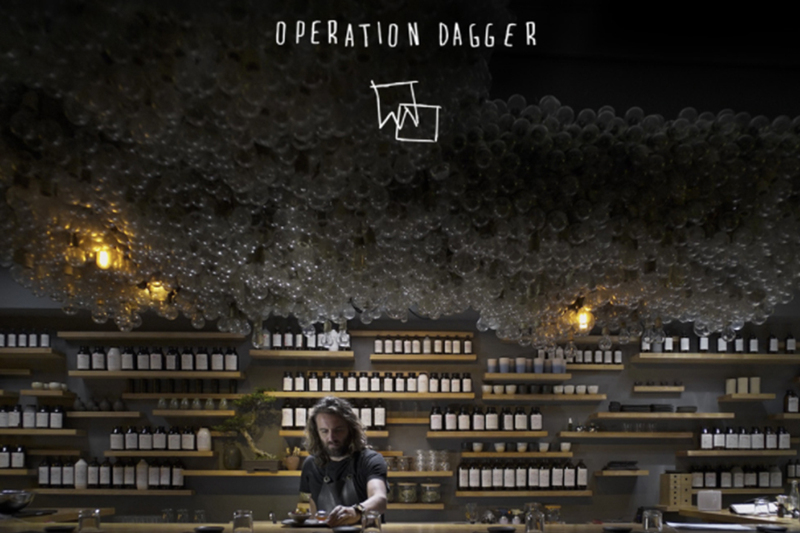 The first theme focused on agave-based spirits with a menu featuring rare and artisanal tequilas and mezcals and bar bites to pair with the spirits. We can’t wait to see what the next theme will be (please be gin!). Manhattan was inspired by the grand old days of cocktail culture in New York City, so the decor is both opulent and chic and the drinks are just as flash with one-of-a-kind spirits made in the world’s first in-hotel rickhouse and house made mixers. Delicious gourmet bar bites add to the allure, as does the fabulously boozy adult’s only cocktail brunch they throw down every Saturday. DIY Bloody Marys anyone? The aperitivos flow like water at Marcello, an Italian-style craft cocktail bar in the InterContinental Singapore Robertson Quay. 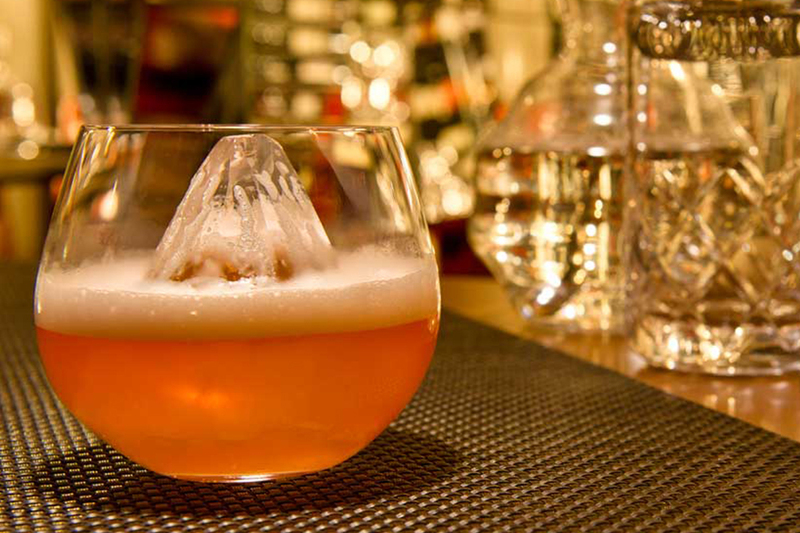 The libations here give a nod to the early- to mid-20th century, but with unique twists. Take for example, the Milano Fizz made with homemade lemon sherbet, Campari, and prosecco or the Smoked Black Olive Negroni with gin, Campari, Italian vermouth, and smoked black olives. This Keong Saik watering hole is a refreshing take on a Japanese izakaya. The interiors include a graffiti mural, concrete floors, and exposed brick, all of which is very underground hipster. The cosy bar is a cool place to chill and enjoy artsy Asian-inspired cocktails that make use of ingredients like jasmine tea, yuzu, ginger beer, and matcha syrup. For bites, expect contemporary offerings like the soft shell crab bao and katsu currywurst. 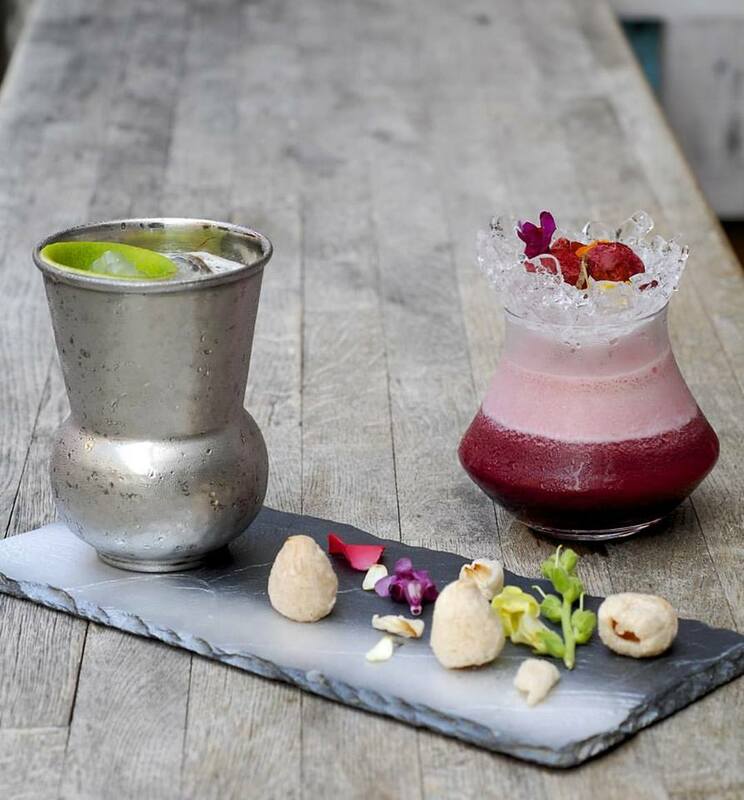 Located on the site of former nutmeg and clove plantations, hence the name, Nutmeg & Clove serves up bespoke cocktails with a distinctive Chinese twist in a space modelled upon a traditional Chinese medicine hall. Expect drinks rustled up with unusual ingredients like oolong tea syrup, ginger reduction, and salted jasmine foam, and there’s a range of tasty bar bites that showcase regional flavours to go with the drinks. Finding Operation Dagger is half the fun, as the entrance has only cryptic symbols scrawled above the door. Head underground and you’ll reach a mad scientist’s lair with a wall of glass bottles sporting handwritten labels and thousands of light bulbs hanging from the ceiling. Bespoke cocktails are made with house infused spirits and syrups, and after just one sip it’s easy to see why they made it to the World’s 50 Best Bars list two years in a row. Order the Hot And Cold; another contender for best cocktail in Singapore. Indulge in a bit of Gatsby-esque glamour at The Other Room, a hidden gem squirreled away behind a discreet door in the Singapore Marriott Tang Plaza. Ring the doorbell and you’ll be ushered into a dimly-lit room where bartender Dario Knox holds fort behind a bar that boasts over 150 bottles. Tell him your flavour profile, and he’ll suggest a signature creation concocted with roots, herbs, spices, fruits, and in-house cask-finished spirits. Set in the heart of Little India above sister venture Meatsmith Little India, Rogue Trader pays homage to the neighbourhood with colonial-inspired decor and a menu that lists Indian craft beers, wine, and cocktails. Even better, everything from the Meatsmith Little India menu is on offer here as well, so you can pair your drinks with sticky ribs, butter chicken hot pockets, and biryani stuffed suckling pig. The views from Spago will leave you all kinds of awestruck, as this al fresco bar sits on the 57th floor of Marina Bay Sands. The contemporary dining room is a chic spot to sample some of Wolfgang Puck’s So-Cal cuisine, but we actually prefer chilling at the rooftop bar and lounge and sipping on handcrafted cocktails as we gaze out at the city skyline. Try the Peace on Earth with tropical rum punch, passionfruit, orgeat and coconut. It’s a vacay in a drink. This hole in the wall spot is a hipster haven with dark interiors, a devil-may-care attitude, and a selection of craft beers, small batch bourbon, and handcrafted cocktails. However, the vibe is anything but too cool for school. Let the bartender know your preferred poison, and they’ll create a custom concoction just for you. The Gin & Tonic Pairing Masterclass is also a fun way to imbibe craft cocktails and learn more about this iconic drink. 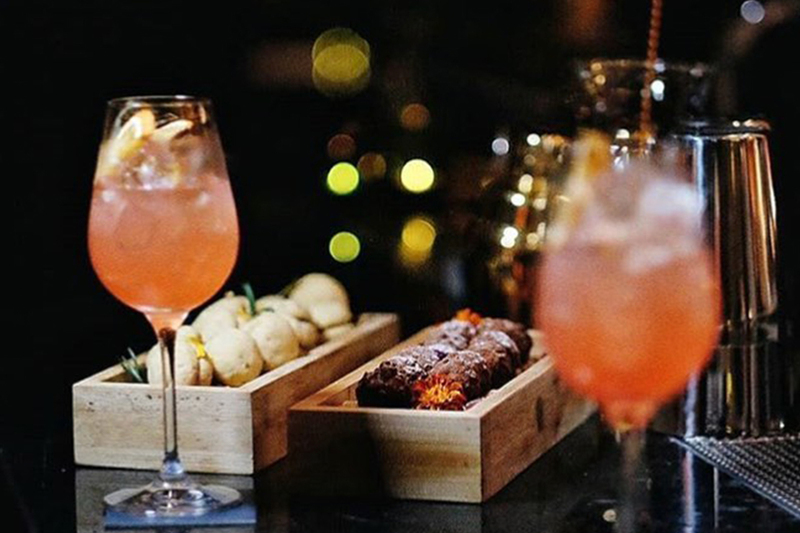 Award-winning Tippling Club is still going strong as one of Singapore’s most innovative bars with a regularly changing contemporary cocktail menu that aims to evoke emotions and memories. Try the dreamily named Peace with vodka, almond milk, lemon balm, and citrus or the Lust with peach, tonka bean, vanilla, and champagne. Or you can ask the bartender to prepare you a custom creation and see why it’s earned a well-deserved spot in the World’s 50 Best Bars list.